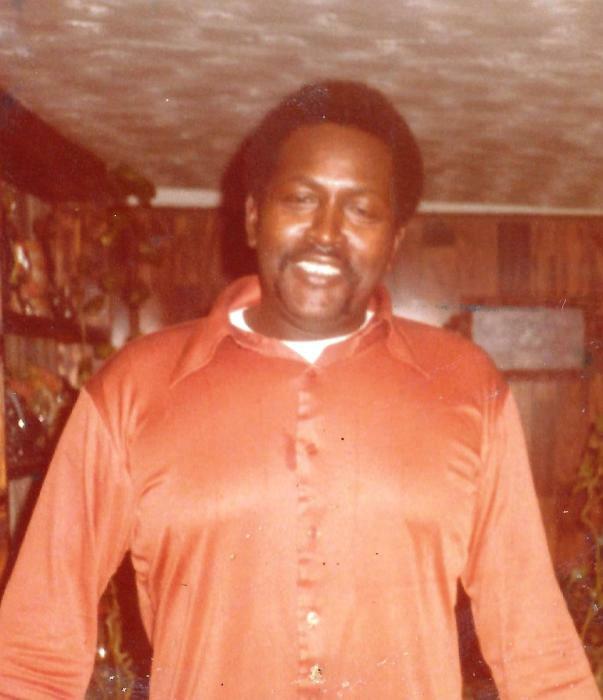 Obituary for Bobbie "Loc'ku" (Sr.) Penrice | Dixon Funeral Home, Inc.
Funeral services for Bobby Penrice, Sr., 74, of Pledger will be Saturday, July 21, 2018 at 11:00 a.m. at Bethlehem Baptist Church, CR 100, New Gulf, TX with Pastor Alex Gardner officiating and Pastor Ray Felder eulogizing. Burial will follow at Bethlehem Cemetery in New Gulf, TX. He passed away on Thursday, July 12, 2018 at Jennie Sealy Hospital in Galveston, TX. Bobby attended Boling High School and graduated from Lanier High School in Freeport, TX. He loved playing dominos, barbecuing, building hot rods, and a being a mechanic. He was preceded in death by his parents, Eleanor and Paul Penrice, Sr.; son, Bobby Penrice and brother, Paul Penrice, Jr. He is survived by his sons, Ray Wayne Felder (Bridgette), New Gulf, TX, Dale E. Penrice (Paula), Gale E. Penrice (Jessica), all of Boling; daughters, Gwendolyn M. Felder, Houston, Vivian L. Tolbert (Gerald), Pledger, Karatta Penrice Jackson, Wharton; sisters, Loretta Branch, Brenda Washington (Ben Knoxon), both of Angleton, Ada Johnson (Luther), Houston; brother, Ray Penrice, West Columbia; long time friend, Evelyn Penrice;18 grandchildren; 24 great grandchildren; a host of nephews, nieces other relatives and friends. Active pallbearers will be Royrick Jackson, Thomas Felder, Jaylon Tolbert, Gale Penrice, Jr., Burtis McLeod and Dale Penrice, Jr.
Honorary pallbearers will be Roilan Jackson, Raymond Felder, Calvin McLeod, Roger Felder, Ray Penrice and Sherman Penrice. Visitation will be Saturday, July 21, 2018 at the church from 10:00a.m. to 11:00 a.m. Final arrangements entrusted to Dixon Funeral Home of Angleton at (979) 849-8800.